All our volunteers are invited to an 'Volunteer Induction' session which provides more detail about Oblong and the way we work, Health and Safety and details of the opportunities available. As a volunteer you will have a supervisor who is responsible for providing support on a regular basis throughout your time at Oblong. Volunteers should have all the information they need to be successful in their role. We will therefore provide regular support and guidance through feedback sessions with your supervisor. We value your feedback and will use it to contribute directly to Oblong's volunteer programme and, where appropriate, service provision. We hope that as a volunteer you will provide and receive support from other volunteers. As a part of our support programme for volunteers, we provide access to training which will be useful and effective to our volunteers and the work they undertake for us. This may be on a one-to-one basis, through another organisation that has come to give in-house training at Oblong, or at an external location. How Oblong does what it does. The policies and procedures which may affect your work as a volunteer. How to use the equipment you will be using. Travel, meal and childcare expenses. On a day-to-day basis a member of staff is allocated the role of centre support; if you need assistance please do not hesitate to ask. Volunteers contribute significantly to the work of Oblong. Success in reaching our aims and objectives is best achieved through working with you. We are committed to creating meaningful and productive volunteer roles which we hope will help you to gain valuable skills, knowledge and experience. Recognition for the work you have done. As a volunteer you will be part of the Collective, and have an equal say and contribution to the direction of Oblong. The work you do will be agreed with you beforehand and you will get guidance at the Collective meetings. As a volunteer you are expected to do your role to the best of your abilities and to work within Oblong's values, goals and procedures. Be given a training to help develop the skills you need for your role at Oblong. Be given training to make you feel confident and safe in your work and develop your own skills. Be valued and respected by everyone involved in Oblong and treated equally. Have your complaints taken seriously and listened to. Use the Acceptable Behavior and Problem Solving Policy for issues that cannot be resolved informally. Not be given more responsibility than you can cope with. Get meal expenses every day you work with Oblong. Get travel expenses for your volunteer days. Be invited to Collective Meetings, where you will have the same decision making powers as paid staff or other Collective members. Be asked about any important changes that may affect how Oblong runs. Have feedback sessions with your supervisor where you can plan work and training, and discuss your progress. Let Oblong know if you can't attend when you'd agreed to. Be respectful of the needs of everyone who uses Oblong. Ensure the centre is a safe environment for everyone to use. Work as a team with other volunteers and staff. 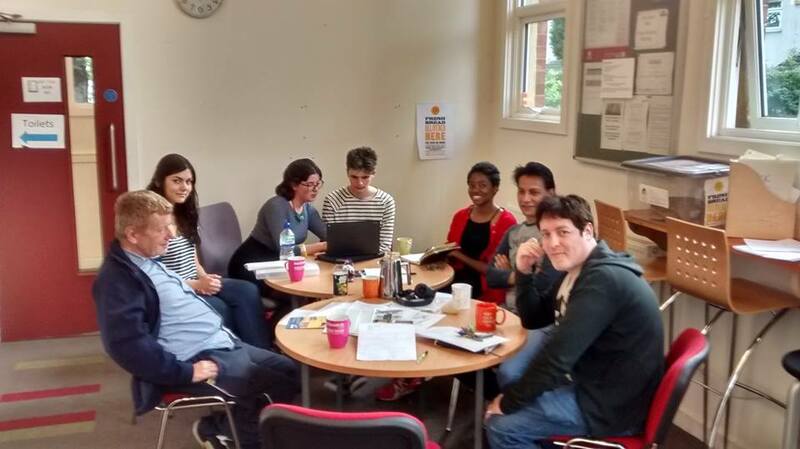 Come to the Collective meetings, Oblong Monthly Socials, or the Development Collective. Agree to a role description.